The Burning Nights CRPS Support FREE 3rd Annual National Burning Nights CRPS Support conference event is on Saturday 4 November 2017! Due to the amazing successes of our last 2 Annual Burning Nights CRPS Support conference events in 2015 and 2016, our 3rd annual national CRPS conference is being held this year on Saturday 4th November 2017 and due to popular request it will be held in the South at the Marriott Bexleyheath, Kent (DA6). UPDATE: This event is now full! However we have a cancellation list in place now, so if you’d like to attend our Complex Regional Pain Syndrome UK conference to gain support and CRPS information please contact us and we will put your name down, email address and number of tickets you’d like if you are successful in the event of people cancelling. Our last year’s Burning Nights CRPS Support annual national conference was held at the Manchester Marriott hotel in September 2016. Here’s what went on last year: Prefer to read about our event last year? 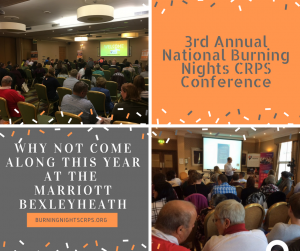 Why not check out our 2nd Annual Burning Nights CRPS Meet & Greet Conference blog or check out our Inaugural Burning Nights CRPS Meet & Greet blog?! If you are interested in coming along to our 3rd Annual National Burning Nights CRPS Support Conference please fill in the RSVP box below this event and event details. LUNCH & REFRESHMENTS: Both lunch (sandwiches including vegetarian option, salad bar and fries) and refreshments are FREE for you during the day’s event. The Marriott Bexleyheath is a wheelchair and disabled friendly hotel. The bar, restaurant and some bedrooms are on the ground floor. There are some rooms on upper floors and the conference room is on the 1st floor which is accessible via lifts. 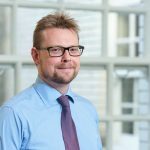 Chris Edwards, Motability Operations – Chris will be giving a talk on the Motability scheme, how it works, what is available etc. To learn more about each of the confirmed speakers this year, please visit our 3rd Annual National Burning Nights CRPS Conference blog. We are looking for CRPS carers and sufferers who would be willing to give a short talk about their lives either living with CRPS or as someone who cares/loves someone with CRPS. 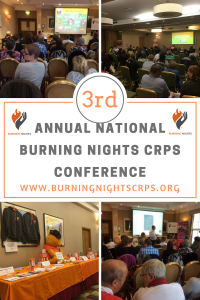 If you’re interested in speaking at our 3rd Annual National Burning Nights CRPS Support Conference please get in touch with us and let us know. This year, we will be holding 1 raffle and 1 auction on the day of the conference! The raffle will take place and drawn on the day of the conference and will only be available to those attending our CRPS support conference. UPDATE – Due to the Collapse of Monarch Airlines we have suspended the sale of raffle tickets as of Monday 2nd October 2017. We are now looking into the possibility of obtaining a similar prize from another flight company. If this fails then we will be in contact with everyone who has purchased tickets to let them know of the situation and to offer you a refund. The auction will also take place on the day of the conference and will be finalised on that day. The winning bidder must pay for their item on the day of the conference. The item will not be given to the winning bidder until it has been paid for. We are able to accept cash, PayPal or a bank transfer on the day. 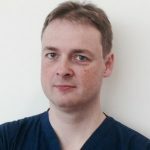 Check out our blog for this year’s 3rd Annual National CRPS Conference in Bexleyheath for more information on this year’s raffle prizes so far! If you know any companies who would be willing to donate a raffle prize to us please contact us If you are part of a company or you own a business and would consider kindly donating a prize to our raffle, please contact us! All the money raised on the day will go towards the charity. We have been generously given 2 fabulous items that we will be auctioning off on the day of the conference! Those attending the conference will be able to bid for these items on the day. Payment MUST be made in full on the day and items won’t be released until payment has been received. You are able to pay for these items either by cash, PayPal or bank transfer. If you are the winning bidder of either of the 2 items please leave your name and all contact details so we can send you an official charity receipt for your purchase. If you would like to stay at the hotel, their direct phone number is 020 8298 1000. If you book online why not sign up for Easy Fundraising and help us raise FREE donations just by booking your hotel online or buying anything online! There are very limited Blue Badge disabled parking spaces at the hotel. However there is a car park at the hotel and there is an arrangement with the Council across the road for extra parking. There is a cost to parking which is £1 per hour or £7 per 24 hours.